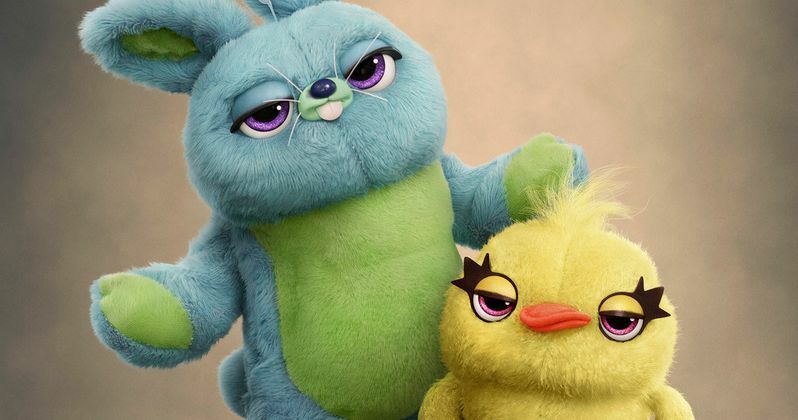 Infamous comedy duo Keegan Michael Key and Jordan Peele will voice new characters Ducky and Bunny in Toy Story 4. The pair got their start together on Mad TV, before creating their own hit sketch show with Comedy Central's Key & Peele. Both have gone onto have wildy successful movie careers. Keegan-Michael Key has appeared in just about every other movie that has come out in the last decade, from having starring roles to just popping up in an unexpected cameo. Jordan Peele has also been featured in quite a few feature films since Key and Peele came to a close. He's been more interested in directing, dropping his horror comedy Get Out to much acclaim and a few Oscar nominations, even winning for Best Original Screenplay. He's also behind the upcoming Twilight Zone reboot. Said director Josh Cooley about getting Key & Peele to be a part of Toy Story 4. "Keegan-Michael Key and Jordan Peele, who voice Ducky and Bunny, are two of the most brilliant minds I've ever seen. Of course, they are effortlessly funny, which would be enough. But they are incredible actors that understand story. Their improvs weren't just for comedy sake, they were story motivated which elevated Ducky and Bunny and the film to a level I never could have expected." The voices of Key and Peele are on full display in this second teaser trailer for Toy Story 4. This is more of a full scene than a compilation of quick clips from the upcoming hugely anticipated sequel. Woody and Buzz happened upon Ducky and Bunny as they discuss Buzz's iconic catch phrase, 'To Infinity and Beyond'. Toy Story 4 has had some significant delays on its way to production. Now, it's almost ready for release. Disney/Pixar will be debuting Toy Story 4 as part of Disney's big summer lineup in 2019. Along with this first look at Ducky and Bunny as they come to life, Walt Disney Pictures has also released a character poster for the colorful duo.